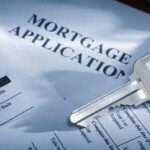 “Your mortgage offers a fixed interest rate for a set period. This finishes at the end of the month after which you will be charged our buy to let standard variable rate. This is currently 4.95% pa, including the 0.25% discount for paying by direct debit. This means your new interest rate will be 4.95%. So I was a little confused when I received this letter which informed me I would be paying 4.95%. According to my mortgage contract, the rate I should be paying is Bank of England base rate (currently 0.5%) plus the differential of 3%. That gives a pay rate of 3.5%. So why then was I being charged 4.95% – a whole 1.45% more? The nice sounding Yorkshire lass named Lisa at the end of the telephone was most helpful. She diligently brought up the letter they had sent me so that she had it on her screen and she also brought up the mortgage contract which I had signed so that she could see the sections which I was querying. Sam – I know it’s extraordinary, but you are probably going to lose. As it’s a BTL mortgage you’ll need to go to the Banking Ombudsman, and there are fewer laws protecting you as you are B2B not a consumer. Things like unfair contract terms won’t protect you, and somewhere in the small print of the contract will be a clause which allows them to change the contract at any time they like, to anything they want. Extraordinary isn’t it? Of the 64,000 people affected by the Skipton’s change only 100 have joined the group. I don’t think the Action Group will help you because it is using the 1977 unfair Contract Terms Act which doesn’t apply to you. I have a Skipton Mortgage, but mine is a tracker. Nick don’t be surprised if they send you a letter to change yours to a fix at 4.95% LOL! At present we have had very little response to our campaign and it is essential to this Action that we have as many of the 64,000 borrowers on our side as possible. Unfortunately we are limited in our ways of contacting these Skipton borrowers as Skipton have refused to provide us with a list of affected parties. As you may already know, both the OFT and the FSA have rejected our Complaint against Skipton and the only way forward now would be to take Court Action. At the present time, we feel we are not in a position to move forward and cannot contemplate taking a claim against Skipton without further support from borrowers. We await further developments in the hope that we can attract further members. I read w interest. I too had heard about this before. Since it is Buy To Let, the lenders appear to be able to behave like it’s the Wild West with no sanction. Look out for the little “and we reserve the right to move any goalposts we want to move, at any time, for reasons of our own which we won’t bother to disclose” clause, since they exist in many mortgages…..
Well despite the gloomy outlook I still feel regardless of this being a B2B arrangement – a contract is a contract. A guarantee is a guarantee. A contract isn’t a contract if it’s with a bank. Banks are in a privileged position, and are regulated by the government. You & I can’t set up a Bank, Banks have to pass tests and satisfy regulators that they won’t go bust. In exchange they receive a monopoly position which sets them above the regulation of the market – they can charge what they like because no one is allowed to compete with lower prices, they can have whatever terms and conditions they like because no one else is allowed to be more reasonable. It’s wrong to criticise the Skipton because all the other banks have the same sorts of clauses. Hope you are able to get something from them. Having recently had a major argument with my local council about council tax for a flat, I can sympathise. In our case, we were charged for a void period – only about £40, but it should have been nothing. However, they didn’t bother telling us, and the first we knew was a bailiffs letter for over £300. Succeeded in the end, but it is scary how organisations in a position of power can break laws (like contract in your case and civil procedure in ours), with seemingly no repercussions. I agree. Unfortunately it would appear the bigger and more official the organisation the less the law applies to them! Nick I really can’t agree with you – why bother having a contract in the first place if one party can’t be held accountable to what they’ve agreed. And ‘Banks have to pass tests and satisfy regulators that they won’t go bust’ didn’t really help much when the government had to bail a few out in recent years to keep them afloat. Sam I think you should pursue this.